I’ve been really wanting to try using quinoa in a recipe, however the mess and faff has always put me off cooking it, despite the obvious health benefits. According to BBC Good Food, Quinoa is pretty much the perfect ingredient! It has twice the protein content of other grains such as rice or barley as well as great levels of magnesium and calcium. 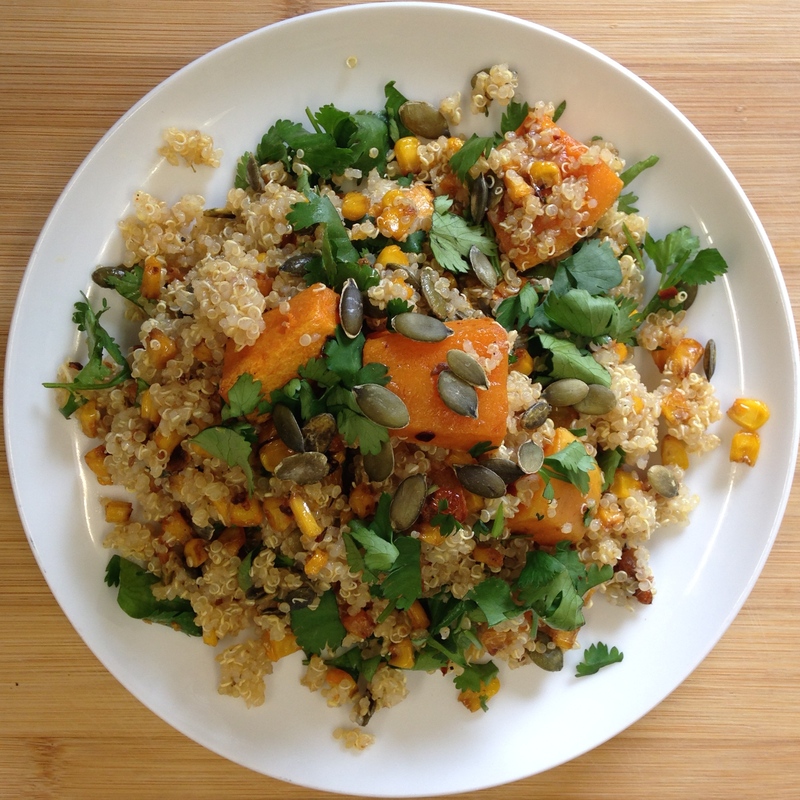 Quinoa also has an amazing amino acid profile, making it a complete protein source. Aside from the sciencey part, I really love the flavours in this salad, and it’s really portable so perfect for taking to the library for a revision break! Peel and chop your butternut squash, I’ve only used half for the salad so you can either use all of it and increase the amounts of other ingredients or use the other half for another dish. Peel and chop your garlic, then put a frying pan on a high heat. 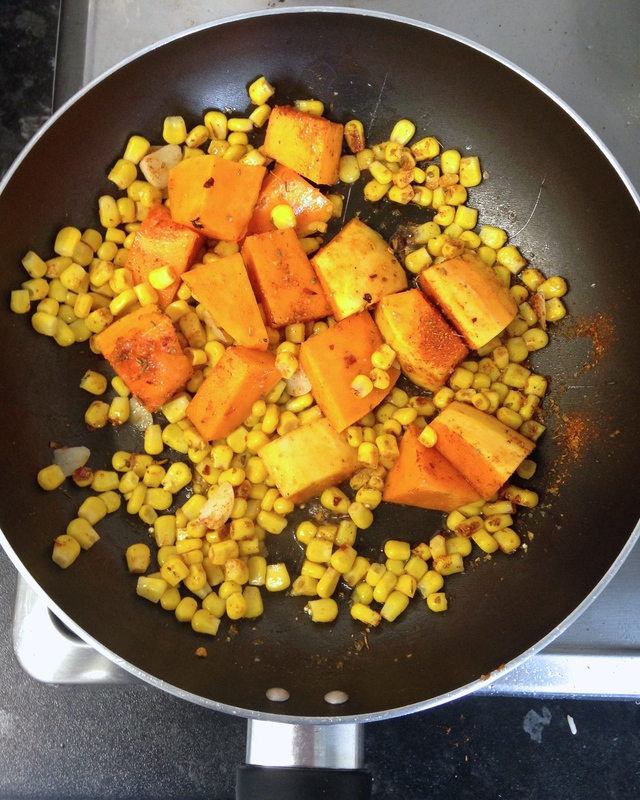 Put in 1 tablespoon of olive oil and once hot, add the garlic, sweetcorn, piri piri seasoning and squash. Fry in the pan for 5 minutes for the flavours to absorb, then remove from the heat. Heat the oven to 200 degrees, then place the squash and corn on a baking tray and roast in the oven for 30 minutes. While the veg is cooking, cook the quinoa according to packet instructions. Chop the coriander roughly and set aside. 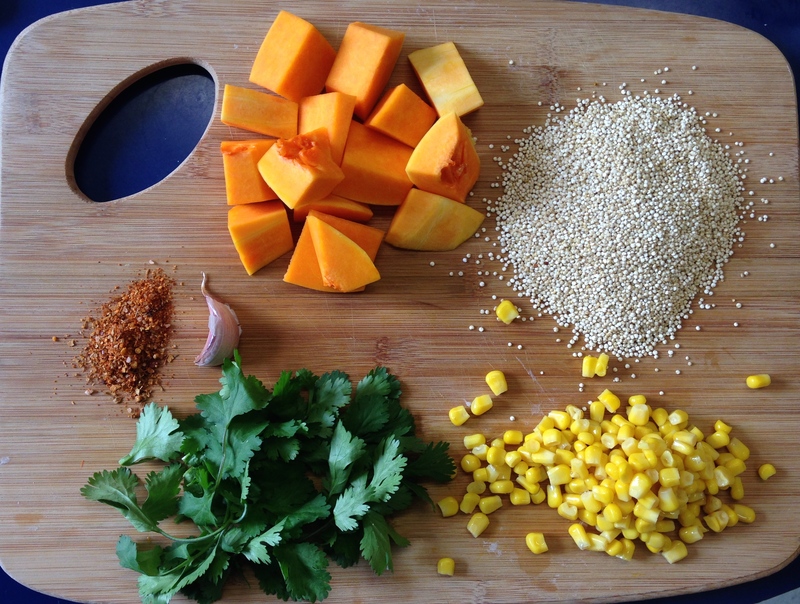 Once 30 minutes is up, mix the quinoa, veg, coriander, seeds and juice of 1 lemon together. Now the salad is ready to serve, it’s really easy! 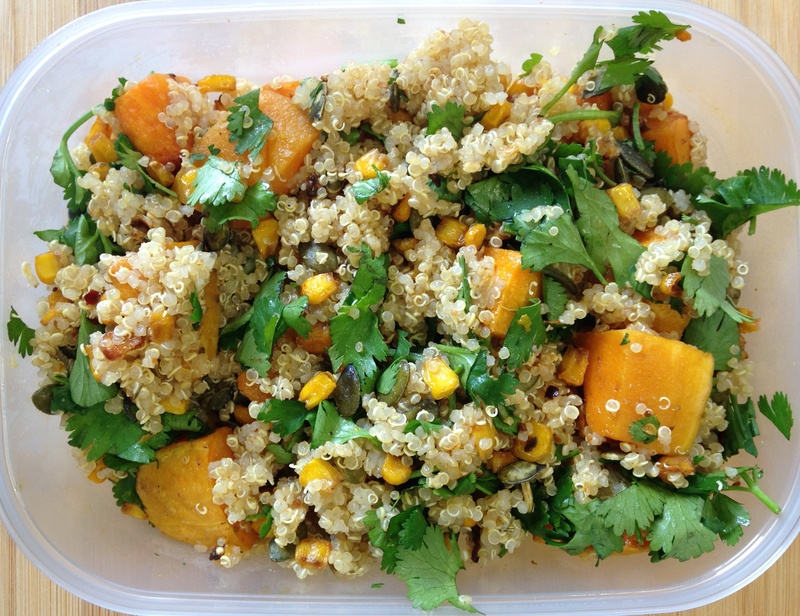 I’ve put this in some tupperware for the perfect lunch on the go, I hope you can give it a try as it’s really delicious. thankyou it was really tasty!